Keith retired December 1, 2003. There was a celebration of Keith’s life on Saturday, March 30, 2019, at the Goderich Royal Canadian Legion, Branch 109. Union Brother William Robert Rodger passed away September 16, 2018, in his 86th year. William was hired at Champion/Volvo Motor Graders in Goderich Ontario, Canada, December 7, 1970 in the Finished Products Dept. and at that time became a member of IAM&AW LL 1863 (now LL 1975). 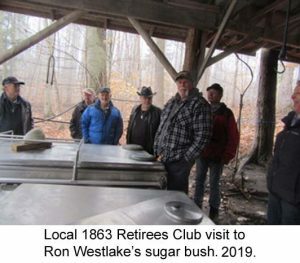 William retired from the plant at 65 years old. William’s funeral was held at the McCallum & Palla Funeral Home, Goderich, on September 21, 2018. Due to the Thanksgiving Holiday, the next 1975 local lodge meeting will be held on Tuesday, October 9th, 2018. The general meeting will commence at 7:30pm. Union Brother Karl Sartori passed away September 7, 2018, in his 91st year. Karl was hired at Champion/Volvo Motor Graders in Goderich, Ontario, Canada, May 16, 1966, in the Machine Shop and at that time became a member of IAM&AW LL 1863 (now LL 1975). Karl’s funeral was held on September 14, 2018, and interment in St. Peter’s Roman Catholic Cemetery. Union Brother Kenneth John Murch passed away August 21, 2018, in his 72nd year. Ken was hired at Champion/Volvo Motor Graders in Goderich, Ontario, Canada, May 04, 1970, and at that time became a member of IAM&AW LL 1863 (now LL 1975). Ken worked in the Heavy Duty Repair Dept., and retired in June, 2006. Interment in Clinton Cemetery with arrangements by Falconer Funeral Homes. Local 1975 is sad to announce the passing of another Union Brother. Howie Gottschalk, passed away July 2, 2018 at the age of 68, after a short but courageous fight with cancer. 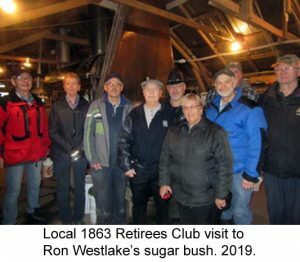 Howie was hired at Champion/Volvo Motor Graders in Goderich, Ontario, Canada, in the Machine Shop on February 4, 1974, at that time he became a member of IAM&AW LL 1863 (now LL 1975) and retired in June 2009, when the plant closed. There will be no funeral home visitation or service. Arrangements through McCallum & Palla Funeral Home. 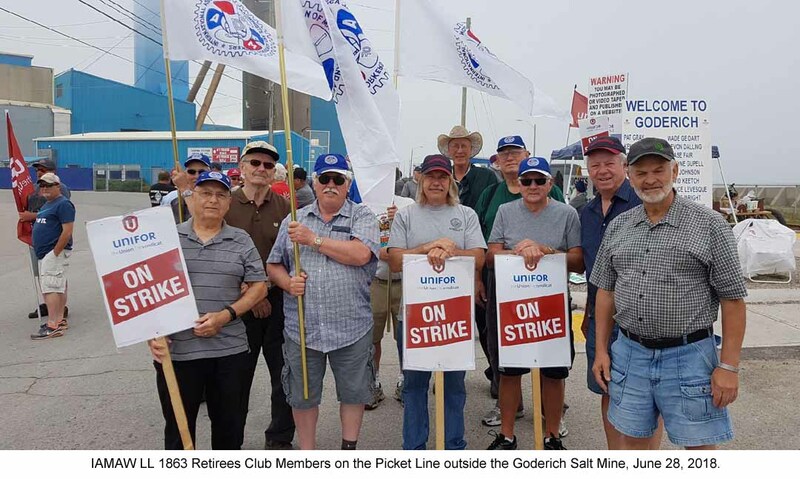 In a demonstration of solidarity IAMAW LL 1863 Retirees Club, stood beside UNIFOR Local 16-O on the picket line with striking workers at the Goderich Salt Mine. These union Brothers and Sisters have been on strike against Compass Minerals since April 27, 2018. 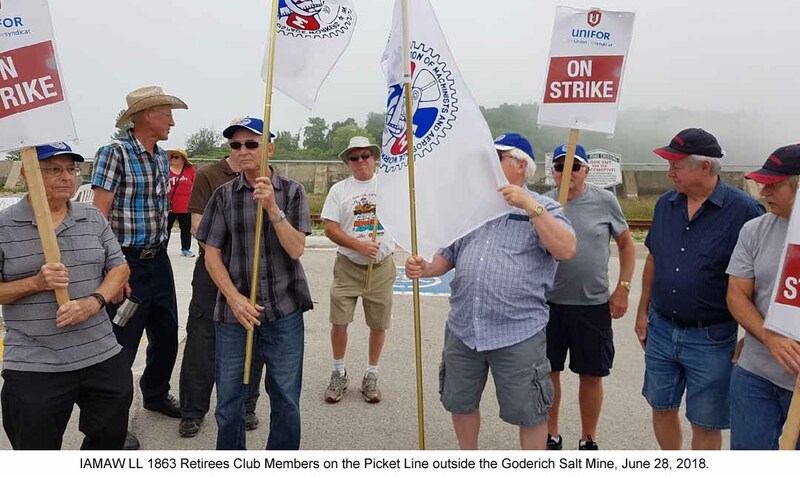 On the afternoon of June 28, 2018, UNIFOR Local 16-O held a rally and appreciation event where the LL 1863 Retirees Club stood on the picket line while the Union Brothers and Sisters were at the rally. The UNIFOR members have been battling replacement workers and fighting against a long list of concessions. For more information click on the link below.